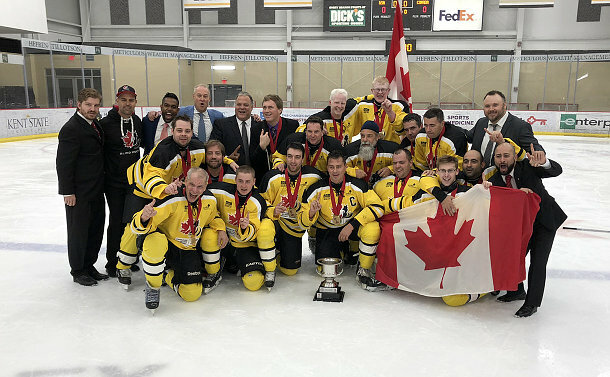 A Toronto Police member backstopped the Canadian Blind Hockey team that shut out the United States in a three-match summit series in Pittsburgh from October 12 to 14. 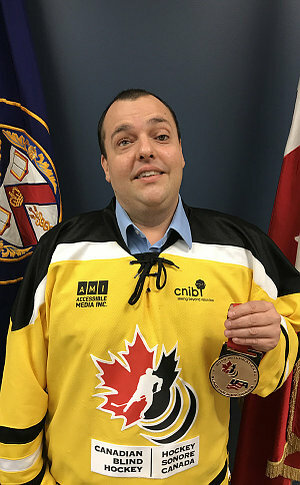 Joey Cabral, a station operator on ‘C’ platoon at Traffic Services, split time with two other goaltenders that helped the national team that beat the Americans 8-2, 12-3 and 6-2. 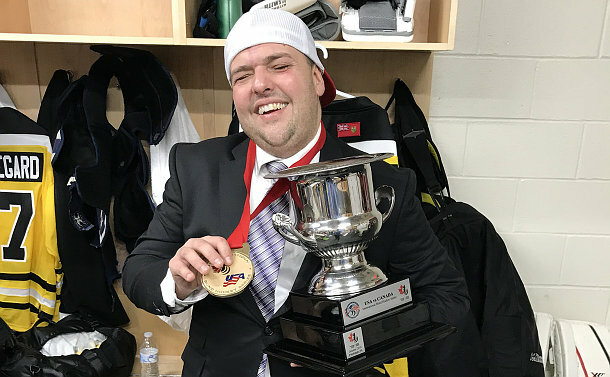 Born with glaucoma and completely blind since age four, Cabral started playing blind hockey in 1998. He started as a defenceman but later found he was best suited to goaltender in 2003. Representing Canada has been the highlight of his playing career. “I worked hard to get to this point and winning the gold medal is a moment I will never forget,” Cabral said. “This medal is not just for me. It’s for every Canadian." Blind hockey is similar to traditional hockey with the biggest difference being an adapted puck, which is larger than a regular puck. The 14-cm metal disc has ball bearings inside so it rattles as it moves across the ice. While some players have partial vision, the sound is particularly important for the goaltenders who are completely blind. Cabral is expected be in action for Canada in March when the Americans come here for a series at the Mattamy Centre in Toronto. A Service member for the past 17 years, he has worked in the Employment Unit, Duty Desk and now serves at Traffic Services.